This client was bankrupt. She owed $20,000 in back payroll taxes. The client bankrupted her corporation and sold the assets to a new company. She is now operating with a new entity and no more debt. The IRS debt has been negotiated down to $0, she paid nothing in additional taxes, penalties or interest. This case is a fantastic success. This client allowed the firm to use its creativity and followed every instruction to the letter. The client has started a bad trend. He has started to not pay the United States Treasury. He has chosen poorly, he is paying creditors that can be discharged under a bankruptcy. He has decided to not pay a creditor that cannot be discharged in bankruptcy. The firm has advised the tax payer to bankrupt his current corporation. He needs to shed the debt load that he is currently trying to support. He cannot make all of his payments. It is time for him to file bankruptcy and start over. The firm will be there every step of the way. We will assist him in choosing the correct lawyers and following the plan that allows him the most financial freedom. Soon, the client will have a fresh start. The firm represented this client before the Collection Division of the Internal Revenue Service. Initially, the client hired the firm to protect him from the filing of a Notice of Federal Tax Lien. 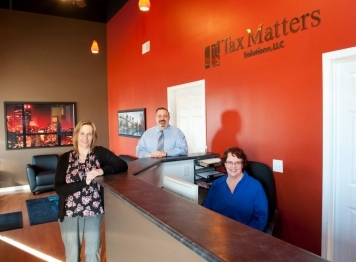 The firm protected him from a Federal Tax Lien, his largest client was the county recorder. He would lose his largest client if the IRS filed a Notice of Federal Tax Lien. Unfortunately, things have not worked out for this client. He has now filed for bankruptcy. However, that does not mean that the firm cannot help him. We are advising him of how to handle the IRS now that he has filed bankruptcy. The client now needs the firm to defend him against a Trust Fund Recovery Penalty and setup a repayment plan. The firm’s goals change when the client’s goals change. We adapt, so that our solution solves your problem. The tax payer hired the firm to file multiple years of unfiled payroll tax forms. The client had several employees and had never filed payroll tax forms. The client paid the firm to file the forms. She had actually paid the taxes that were owed; however, she had never filed the forms. The firm prepared the forms, submitted the forms for payment and ensured that all forms posted correctly. The client’s case was resolved in a matter of weeks. The tax payer came to the firm for help. No sooner did we meet with the client, the Indiana Department of Revenue levied the client’s bank account for $36,000. The client needs payroll tax forms filed for multiple years and multiple states. Unfortunately, the tax payer has no documents. He has no quarterly forms, or monthly forms. The firm has ordered W-2 information from the Social Security Administration. We are in a race against time the Indiana Department of Revenue wants more money. They continue to threaten additional levies against the tax payer’s bank account. This client has been a successful engagement. The firm has shown the ability to forestall additional bank levies while working diligently to get the client compliant. Abatement of $22,000 of penalties for a taxpayer. The taxpayer used his diagnosed medical illness as the basis for the penalty abatement. The diagnosed illness was clinical depression. This taxpayer is a high net worth individual. We then got a second mortgage on his house and full paid the base taxes that were owed. The taxpayer owned a plumbing business that employed any where from two to five employees. The business has been operating for several years. The company was profitable every year until they had a job that went over budget and unpaid. The company was working for a general contractor who became insolvent. The company was unable to remit the payroll taxes it owed because it never received the money promised by the general contractor. The bad debt lead to a domino effect financially. The next couple months the client was lucky to cover the net payroll checks let along the payroll liabilities and accounts payable. This went on for the next year or so. Now a year or so later the company was now stabilized from this event with every creditor except the tax authorities. The owner didn’t file his monthly, quarterly, or annual payroll tax forms because he believed he could file it he didn’t pay. The IRS had assigned a revenue agent to inquire about the missing returns. We filed the forms with the IRS , SSA, IDR & IDWD and ensured all returns were posted correctly. The liability was in excess of $50,000 which required a collection information statement, Form 433-B, be completed to request a payment plan. The client had the ability to make a sizable down payment which we had applied to the Trust Fund’s. The application of the payment in this manner limits any responsible party of the potential liability for the unpaid payroll taxes. This maneuver allowed us to focus the payment plan on the company’s assets and future montly ability to pay compared to having a payment plan for the corporation and personal accounts. The company is now compliant with filing and has payment plan set up the IRS for its outstanding liability.